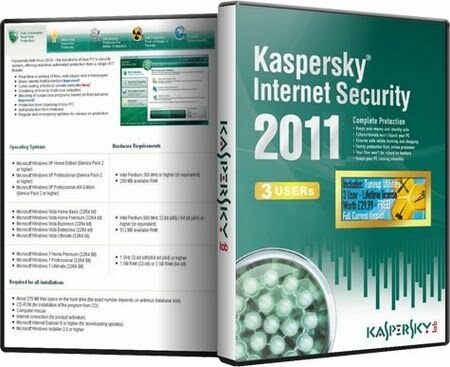 Kaspersky Internet Security Genuine 2011 has everything that you need to stay safe and secure while you’re surfing the web. It provides constant protection for you and your family; whether you work, bank, shop or play online. You can get 1 year license key for $59 from kaspersky lab for 1 year. But If you are looking for the Free Genuine License Key of the Kaspersky IS 2011 then here is the trick to get the legal license of kaspersky for next 1 Year. 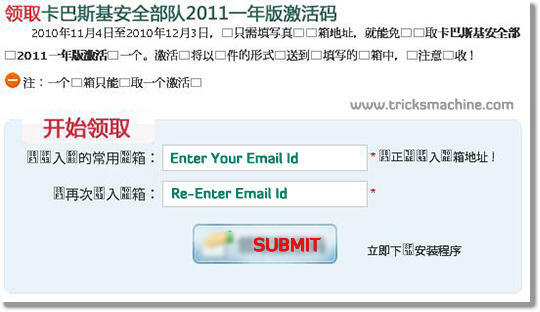 I came across to the one of the promotional offer of the kaspersky china, which is giving the free keys for the next 1 year in 3 steps only. Also read Protect your Mobile Device & Smartphone with Kaspersky Mobile Security! Kaspersky Internet Security Genuine has very good detection rate and also some enhanced features such as improved identity theft protection and behavior based blocking. 2. Now you will redirected to the next page which will prompt you to input captcha code. Just enter the right captch code and click on the button. 3. That’s it. You will get the License key for 1 year. Check your Mailbox asap. 3. On the right pane, double click on SkinSwitchDisabled and change its value date to 0 (from 1). 4. On the right pane, double click on Localization, and change its value to en and restart your PC. Note : You must need to use the activation code within one week after receiving it in your mailbox. Overdue activation will not be considered.